More details are emerging regarding the untimely death of New York rap legend Heavy D. According to Ed Winter of the Los Angeles County Coroner’s office, the beloved artist, born Dwight Errington Myers, had gone to the doctor, and He had what appeared to be flu-like symptoms; the day before he collapsed Tuesday morning just outside his Beverly Hills condominium. The Mount Vernon, New York, rapper’s death hit many close to heart, including Eddie F, who along with dancers G Wiz and the late Trouble T Roy were the “Boyz” in Heavy D & the Boyz. The DJ and producer called into MTV News’ “RapFix Live” on Wednesday and revealed how he found out about the unfortunate news. 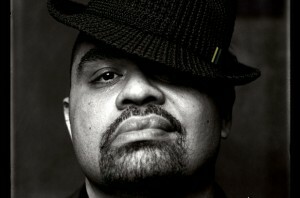 Heavy D & the Boyz were the first act record executive Andre Harrell signed to his Uptown Records, which released the act’s debut, Living Large, in 1987. While at Uptown, Sean “Diddy” Combs got his start in the music industry as Harrell’s intern. Naturally, they all became close friends with the universally adored Heavy D, whose music was well regarded by all types of music fans.